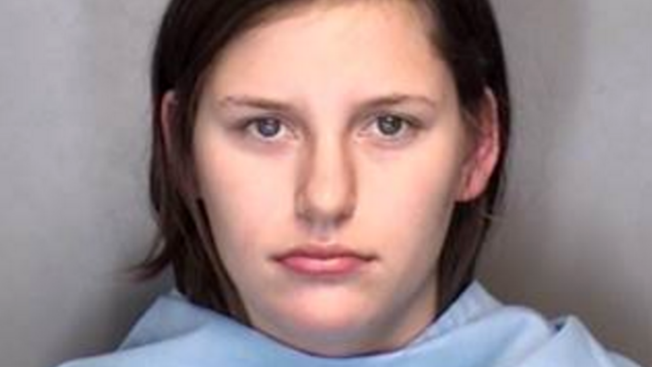 On Friday, a 21-year-old former University of Illinois college student was sentenced to ten years in prison for the suffocation murder of her newborn son, whom she gave birth to in her dorm room bathroom last March. Monee resident, Lindsay Johnson was charged with first-degree murder after the death of her newborn son. On Friday, she plead guilty to felony endangering the life or health of a child as part of a plea deal. Additionally, she was sentenced to one-year mandatory supervised release. With good behavior, she could be released from prison after only five years. Champaign County State’s Attorney Julia Rietz said prosecutors made the deal because of concerns over proving intent to a jury and risking acquittal. Had she gone to trial, Johnson would have faced up to 75 years in prison. “It’s a prison sentence,” Rietz said. “It holds her responsible for the death of this child, but it acknowledges what I think are clearly some mental health issues that she is absolutely going to need to address in the future.” According to Johnson’s defense team, she took the deal in order to avoid a longer prison term had she been convicted at trial. Since her arraignment in April 2016, Johnson has been free on bond. After Friday’s court hearing, she was taken into custody. The sentence given was the maximum sentence possible under the Class 3 felony endangerment charge. According to her attorney, Tony Bruno, Johnson hopes “others might learn from her story”. On March 13, 2016, officers were looking for Johnson after receiving a call earlier in the day from a student at the dorm who reported that Johnson had been in the bathroom for a long time and they heard sounds of a baby crying. The officers found Johnson near the campus’ Music Building wearing a backpack that held the body of her deceased son. Initially, she told police she didn’t know she was pregnant until she went into labor and that once the baby was born, he wasn’t breathing. She later admitted the baby was alive and crying, the Champaign News-Gazette reported at the time.